Billy Elliott, 87, of Ooltewah, passed away on Tuesday, January 16, 2018. He fought a good fight, kept the faith, finished his course and his love was in God. 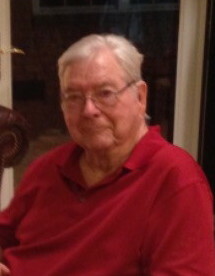 Billy was a member of Ooltewah Baptist Church for more than 60 years. He was also a member of the Ooltewah Masonic Lodge # 741 where he was raised to Master Mason on September 11, 1954, elected Master of the Lodge in 1959 and became a member of Alhambra Shrine temple in 1977. It was there he served as captain of the Clown Unit in 1980. He was also a member of the Eastern Star. Mr. Elliott retired from DuPont after 34 years, and the U.S. Army National Guard after 24 years. He was a man of integrity and determination and you could always count on him whenever you needed him. In every aspect of life, Billy loved, cherished and appreciated the people around him. He loved his neighbors who worked hard to keep him golfing, even when he could no longer walk. He had a sincere love and respect for his beloved wife Patsy. Billy’s sons will always remember their dad as the rock solid foundation of the Elliott family. His traditional family values will always be cherished and never forgotten. He was preceded in death by his loving parents, Tulious and Hattie Elliott; brother, Melvin Elliott; and daughter, Deirdre Elliott. Surviving are his wife, Patsy Elliott, of Ooltewah, two sons, David (Tricia) Elliott, of McDonald, Tn., Rick Elliott, of Chattanooga, two grandsons who knew him as “Granddaddy”, Brian (Lana) Elliott and Brent Elliott, nephew, Jim Elliott and niece, Dianne Douglas. The family will receive friends from 4–8 p.m. on Friday, Jan. 19, at the funeral home. Funeral services will be held at 1 p.m. on Monday, Jan. 22, in the Valley View Chapel of Chattanooga Funeral Home with Reverend Don Burkhalter officiating. Interment will follow in Chattanooga National Cemetery with military rites being conducted. In lieu of flowers memorial contributions may be made to Ooltewah Baptist Church, 5514 Main Street, Ooltewah, Tn. 37363, or St. Jude Children’s Research Hospital at www.stjude.org. Arrangements by Chattanooga Funeral Home, Crematory & Florist, 7414 Old Lee Highway, Chattanooga, TN 37421.